Ten Wyoming school districts got the green light to go to four-day weeks next year. The Wyoming State Board of Education approved the changes at their meeting last week. All schools in Campbell No. 1, including Gillette and Wright, Carbon No. 2 at Saratoga, Crook No. 1 at Sundance, Moorcroft and Hulett, Laramie No. 2 at Albin, Burns, Carpenter and Pine Bluffs, Sheridan No. 1 at Dayton, Ranchester and Big Horn, and Sheridan No. 3 at Arvada-Clearmont received the board’s approval for the alternative school week. Little Snake River Valley Schools in Carbon No. 1, Lusk Elementary and Middle School, Niobrara High School and Lance Creek Elementary in Niobrara No. 1 will also operate on four-day schedules. The four-day school week will still require the same number of school minutes for students... 900 minutes per week at the elementary level and 1,100 minutes at the secondary level. It's time to clean the river. The Wyoming Game & Fish has requested a flushing flow on the North Platte River for ten days beginning this Friday, March 29th. The flushing flow helps clear and maintain fish spawning habitats, and increases production of invertebrates that fish depend on for food. Flows out of Gray Reef Reservoir at Alcova will increase each day from 500 cubic feet per second, to 4 thousand cubic feet per second, then back down to 500 cfs. The Wyoming Highway Patrol recently commissioned 11 Cadets to the rank of Trooper on the completion of their intensive training academy. Swearing-in ceremonies took place in front of family and friends at the Wyoming Supreme Court on Thursday, March 21st. The ceremony marked the 96th graduated class from the Wyoming Highway Patrol Academy. As part of their swearing-in ceremonies, several awards were handed out. 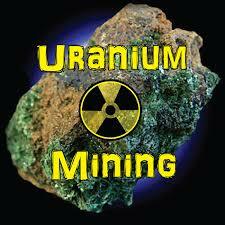 The U.S. government has approved the expansion of a Wyoming uranium mine and is reviewing plans for a new mine not far away. The U.S. Bureau of Land Management announced Tuesday it has approved an expansion to double the surface area of Ur-Energy's Lost Creek Mine 40 miles northwest of Rawlins near the Carbon-Sweetwater County line. The modifications would increase the area authorized for mining operations, and would allow LCI to vertically expand mining into the next deeper layer of mineralized sandstone. The BLM is meanwhile reviewing the company's plans for another in-situ mine located at a former conventional uranium-mining site about 50 miles away. The Shirley Basin Mine would be built at a conventional, surface-pit uranium mining site that operated from the 1960s to the 1990s. ​Shopko announced today that they are closing all of remaining stores by mid June. The chain has been operating in Chapter 11 bankruptcy since January, and closed its in-store pharmacies last month. Shopko announced they were unable to find a buyer for the business and will begin an orderly wind-down of their retail operations beginning this week. A Rock Springs man was killed in a fatal crash on Hwy 59 north of Bill on Sunday. 41-year-old Jesse Ray Wagner was traveling south on 59 when his vehicle entered the northbound lane. 76-year-old Glendo resident William Krieger Neuharth saw Wagner coming and attempted to take evasive action, but they collided head-on. Neuharth was wearing his seatbelt but transported to the Memorial Hospital of Converse County for injuries he sustained in the crash. Wagner was not wearing his seatbelt and died of injuries at the scene of the crash. Driver fatigue on the part of Wagner is being investigated as a contributing factor. Two crew members were injured and diesel fuel was spilled into the North Platte River when two BNSF coal trains wrecked in Wendover Canyon near Guernsey Monday afternoon. 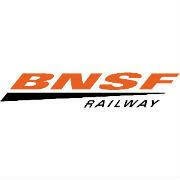 The railway company says a loaded BNSF coal train hit the rear of another BNSF coal train about 15 miles west of Guernsey. The impact resulted in 3 derailed locomotives and 4 derailed cars. Two crew members sustained non-life threatening injuries and were treated and released from a local hospital. Worst case, as much as 6,000 gallons of fuel may have leaked out of the locomotives. Crews have placed a containment boom in the North Platte River at the leading edge of the diesel fuel, and outflow has been cut back from Glendo Reservoir to limit dispersal of the fuel in the river. The wind energy business is alive and well here in Converse County. 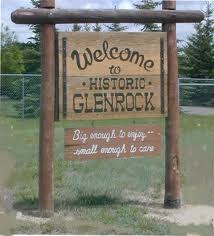 ​Glenrock's big summer festival is taking a new page on the calendar. Faced with competition from other events, organizers for Deer Creek Days have chosen to move the event. Traditionally, Deer Creek Days has been held the first week in August. Beartrap Summer Music festival moved to the same weekend several years ago, and rather than continuing to compete for vendors and attendance, the Deer Creek group chose to move their event to June 21st, 22nd and 23rd. Kinder Morgan and Tallgrass Energy have announced a joint oil pipeline project in the Rockies that will leverage their existing assets to move rapidly growing oil volumes out of the region. The proposed joint venture will increase the existing oil takeaway capacity in the Powder River and DJ Basins as well as add incremental capacity to the Bakken Shale region and Western Canada. Tallgrass Energy would contribute its Pony Express Pipeline System, which begins at Guernsey and moves oil from Wyoming and Colorado. Kinder Morgan will contribute portions of its Wyoming Interstate Company system and Cheyenne Plains Gas Pipeline -- which it will convert to crude oil service -- to the partnership. The companies will also construct 200 miles of new pipeline. Legislation that would repeal the death penalty in Wyoming has been introduced in the state Legislature. The Converse County Commissioners have set their leadership for the next two years. At their first meeting of 2019 last Wednesday, the commissioners elected Robert Short to serve as commission chairman. Jim Willox will serve as vice-chair. The commissioners also chose Willox to serve on the Wyoming County Commissioners Association Board of Directors for a two-year term, and Chairman Short appointed commissioners Tony Lehner, Mike Colling and Jim Willox as voting members of the Converse County Municipal and Joint Powers Board. Two Niobrara County men died in an accident Thursday evening on Highway 18/20 just west of Lusk. 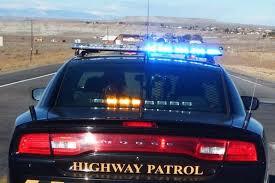 Wyoming Highway Patrol troopers were dispatched to the area for a two-vehicle collision at 6:13 pm. A Washington man died Wednesday in a two-car accident about nine miles south of Wheatland on I-25. The Wyoming Highway Patrol says a 2004 Toyota Corolla had pulled off the interstate in the emergency lane to investigate a strange noise coming from the vehicle. A passenger in the vehicle was standing in front of the car, when a farm tractor hauling hay collided with the stopped vehicle. The tractor came to a stop partially blocking the northbound lanes of the interstate. The driver of the tractor backed up to clear the interstate and hit the passenger of the Toyota. 21-year-old Lacey, Washington resident John Steele died from his injuries at the scene of the crash. The driver of the farm tractor was a Wheatland resident and was not injured. Chesapeake Energy CEO Doug Lawler tells the Wall Street Journal that lower oil prices stress a company like Chesapeake, but the Oklahoma City-based company plans to dedicate at least 80% of 2019 capital expenditures to oil production because it sees crude as the key to a more profitable future. Lawler says Chesapeake needs to produce more in order to improve cash flow, and its operations here in the Powder River Basin, where it added a fifth drilling rig last year, will be a test; it costs CHK ~$8M to drill and frack each of its wells in Wyoming, compared with ~$6M per well in the Eagle Ford shale of South Texas, but the company says the extra expense is worth it because Powder River Basin wells are more prolific. 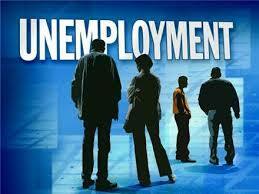 Recent data shows Wyoming's average rate of unemployment remains higher than national numbers. Converse County's been a particular bright spot. The Douglas Boys and Girls Club got another green light last night. After discussion of proper fencing to go around the playground at the back of the building, the Douglas City Council voted 5-0 Monday night to approve development plans for a new facility to be built at 802 Riverbend, just west of the river and just off West Yellowstone. An acre and a half of land has been donated to the Boys and Girls Club. The planned facility will be just over 13,000 square feet, and will replace the old city-owned building on 4th Street. The Douglas Boys and Girls Club program is growing, serving 290 kids in 2018, a 15 percent increase over 2017. The state will pay communities in southern Wyoming a little over $5 million to address the economic impact of two proposed wind energy projects. The 100-turbine Ekola Flats wind project proposed near Medicine Bow will be owned and operated by Rocky Mountain Power. Cloud Peak Energy could be up for sale. As the coal company continues to face pressure from financial losses, Cloud Peak Energy has announced it’s reviewing the company’s “strategic alternatives,” which include the possibility of selling the company. Cloud Peak is one of the largest coal producers in the United States and the only Powder River Basin-only play, operating the Antelope and Cordero Rojo mines in Campbell County and the Spring Creek mine, north of Sheridan, Wyoming, in Montana. The company has about 1300 employees. While Cloud Peak explores its financial options moving forward, just what moves or transactions it could make remain fluid. The booming oil business brings another record month for Converse County's checkbook. County-wide sales tax collections hit another high, reaching $7.56 million in September, the largest volume since March 2015, when sales tax totaled $8.5 million. The Energy & Mining sector led collections, with $3.7 million during the month. That compares to $2.5 million in sales tax received a year ago in September 2017. If your family traditions include setting up the Christmas tree right after Thanksgiving, here's your cue. Permits to cut Christmas trees on the Medicine Bow-Routt National Forests are now available at multiple locations in Colorado and Wyoming, including the Douglas Ranger District office. There's other regulations about what and where you can cut. Stop by the Douglas Ranger District Office at 2250 E. Richards St. for permits and more information. For city council, two seats were open, and voters gave newcomer Kim Pexton 1121 votes, and incumbant John Bartling 1031. Karl Hertz got 906 votes. Pexton and Bartling will take the two available seats. ​Five people running for three open seats on the Glenrock hospital board... those go to Melody Dugan, Sharon Burns and Linda Care-Smith. Veterans Day is this Sunday, November 11th. Converse County School District #1 invites all veterans of our military branches to attend the Veteran’s Day Assembly this Friday, November 9th at 10 AM at the Rec Center gym at Douglas High School. If you wish to be recognized during the assembly as a veteran of one of the military branches, please contact Douglas High School at 358-2940. Retired coal miners from the Antelope and Cordero Rojo mines in Campbell County will lose their medical benefits as Gillette-based Cloud Peak Energy continues to find areas to narrow liabilities in a strained coal market. Current retirees will continue to obtain benefits until the end of the year and then receive a lump sum, according to the company. Cloud Peak will maintain an unfunded medical plan that covers limited medical needs for some retirees. A new economic report says Wyoming enjoyed its largest one-year rebound in sales, lodging and use tax collections in more than a decade this year. But the report Monday from Wyoming's Economic Analysis Division shows that total tax collections are still 15 percent lower than they were before the 2015 economic downturn. An improving energy sector fueled by increases in oil and natural gas prices and rising levels of mining activity accounted for most of the tax revenue gains this year. Though annual sales tax collections increased in all but three counties across the state, the largest jumps were seen in the energy producing counties, especially Converse, Sublette and Niobrara. Charges have been filed related to a death in Douglas last week. Douglas police were called out Wednesday night to a residence in the 500 block of South 5th Street, where a dead man was found. Police Chief Ron Casalenda says formal criminal charges of aggravated assault and one count of 2nd degree murder have been filed against 30-year-old Maxwell B. Schwartz, a recent resident of Douglas. The victim in the case has been identified as 32-year-old Joseph J. Schwartz. Maxwell Schwartz is being held pending further court appearances. As the energy industry continues to pick up in Converse County, so does heavy truck traffic, and the Douglas City Council is considering changes to regulate that traffic inside the city limits. The Council tonight will consider changes to city ordinance that will adjust truck routes in the city. Those changes would remove truck route designations on 4th Street from Cedar south to Richards, and on Center between 4th and the Brownfield Road/Yellowstone Highway intersection. It would also remove the truck route designation from LaBonte Road between Richards and the north end of Irvine Road. The proposed changes would effectively push heavy truck traffic out of the downtown core and the residential parts of 4th Street south of downtown. Truck routes would be focused on Highway 59 and South Riverbend, Yellowstone to Brownfield, north and south on Brownfield, and east & west on Richards. Truck routes would also be designated on North 4th Street from the Highway 59 bypass to Cedar Street, and Cedar Street between 4th and East Antelope Road. The Douglas City Council meets tonight for their second meeting of September. On the agenda, a request to re-plat several lots on the south end of Jefferson Street across from Bartling Park. Owner Andy Henson is asking the city to re-plat 11 lots into three lots. 10 of the lots currently have 25-foot frontages and are currently zone MH-1 for mobile homes. In his request, Henson says he wishes to replat his lots to allow for the construction of an accessory structure to the existing single-family residence on one lot and the creation of two additional lots of sufficient size for additional single-family residences. Council will also consider a request for a 15-foot easement with Black Hillls Gas Distribution that would run along the railroad tracks from north of West Richards Street south to Robin Lane. Genesis Energy is cashing in its Converse County assets. The Houston-based company announced Tuesday that they'll sell their Powder River Basin midstream assets in Wyoming for about $300 million to an affiliate of Silver Creek Midstream, headquartered in Irving, Texas. The assets include the Genesis Powder River Basin Pipeline in Converse County, with connections into southern Campbell County and the Lance Creek field in Niobrara County. Genesis also owned the Pronghorn Terminal rail facility 15 miles north of Douglas, and trucking and crude oil and supply operations here in Douglas. A Douglas man has died from injuries received in a motorcycle accident. 35 year old David Wright was involved in a single-vehicle motorcycle accident in the 600 block of North Wind River in Douglas on Monday morning. The Douglas Police Department says Wright had severe injuries, was taken to Memorial Hospital of Converse County, and transferred to Wyoming Medical Center in Casper. DPD was notified of Wright's death on Tuesday morning. The police department says Wright was not wearing a helmet at the time of the accident. Alcohol is being investigated as a contributing factor to the crash. A Douglas woman has been named to the Wyoming Supreme Court. Governor Matt Mead has appointed Kari Jo Gray to the state's highest Court. A native of Lusk and long-time Douglas resident, Gray has served as Governor Mead’s Chief of Staff since the Governor first took office in January 2011. Previously, in partnership with Frank D. Peasley, she was in private practice for twelve years in Douglas. Under Governor Geringer, Gray served as Director of the Wyoming Department of Family Services from November 1999-November 2000. She has a law degree from the University of Wyoming. Firefighters burned out areas in advance of the Britania Fire Sunday in Platte and Albany counties. Most recent numbers, the fire has burned about 32,089 acres since it started a week ago Sunday. Containment now stands at 77 percent. Firefighters on Sunday successfully completed the firing operations on the southwestern and western flanks of the fire. Crews used indirect firelines and existing barriers, like the Palmer Canyon Road, to secure the firing operation. The burnout operation removed fuels ahead of the fire as it advanced south. On Monday, crews focused on holding and improving the established firelines. Crews continued mopping up the current fire perimeter on the west and southwest sides to improve containment lines. The Britania Fire may affect hunters this fall... that's the word from the Wyoming Game and Fish Department. Wheatland Wildlife Biologist Martin Hicks said the fire is burning in a popular area for hunters, including elk hunt area 7, deer hunt area 64 and antelope hunt area 103. Hicks said quite a few people hunt in this area and they want to give these hunters a heads-up so that they have time to find other areas to scout and hunt for their game. For Mayor of the City of Douglas, Rene Kemper received 691 votes, Phil Romero got 368, and former councilman Doug Olson got 308... Kemper and Romero will advance to the generqal election. 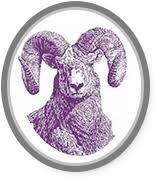 The Wyoming Board of Agriculture meet during the Wyoming State Fair in Douglas next week. On the agenda, the Board will hear an update on the Wyoming Department of Agriculture, an update on the Wyoming Livestock Board, review and approve new public records rules, address Conservation District appointments/resignations, and hear updates on the Rangeland Health Assessment Program. The Board will also hear water quality program reports and extension requests, discuss water quality applications, hear industry partner reports, hear Wyoming Department of Agriculture intern presentations, and any other business as needed. More information's been released on a high speed chase last Friday night that began north of Casper and ended in Converse County. Pony Express riders and Conestoga wagons once traveled the trails through eastern Wyoming... solar-powered cars had their day Monday as the American Solar Challenge 2018 journeyed from Gering to Casper. You may have seen these odd-looking vehicles on Monday... they left Gering, Nebraska, traveled to Torrington, Lingle, up to Lusk, across to Orin Junction, and into Douglas on Richards to Riverbend, and out Highway 93 past Ft Fetterman. On to Top of the World, then in Highway 95 to Rolling Hills and Glenrock, then into Casper on the old Glenrock Highway. The Converse County School District #1 Board of Trustees approved a nearly $30 million dollar general fund budget at their regular meeting this week. This year's budget for Douglas schools is nearly $700,000 less that last year's. To cover the difference, the board approved using reserves for a little over $450,000 of the shortfall. Other adjustments and reductions to line items across the schools and departments covered the additional loss in revenue. Basin Electric Power Cooperative has laid off about 30 employees in two states. A local victims' advocacy group has named a new Executive Director. Lisa Thalken will assume the reins at Converse Hope Center. Thalken is a Wyoming Native and a graduate of Casper College. She has been in Douglas for 5 years and has been working in victim services for almost 4 years. As CHC Executive Director, Thalken will be responsible for the supervision of staff and day-to-day operations of the organization. Lisa has several years experience as both a Victim Advocate and Victim Witness Coordinator. Thalken replaces former executive director Maria Walker, who resigned earlier this year. A Converse County rancher will serve on a state board. Wyoming Governor Matt Mead recently appointed JW Rankin of Shawnee, and reappointed Lynn George of Cody, to the Wyoming Beef Council. Rankin replaces Tom Wright of Newcastle. George is serving a second three-year term. The Wyoming Beef Council is a five-member board of beef producers appointed by the governor to increase demand for beef through promotion, education, and research. WBC programs are funded by the $1-per-head Beef Checkoff collected on all Wyoming cattle. Concert information has been announced for this summer's Wyoming State Fair. Texas music sensation www.caseydonahew.com, presented by Anadarko, will perform live in the Ford Grandstands with Chancey Williams and the Younger Brothers Band on Thursday, August 16th at 6:30 pm during the 106th Wyoming State Fair. Casey Donahew has risen from being a favorite on the local Texas music scene to a nationally popular touring act. His most recent studio album, All Night Party, reached No. 3 on the Billobard Top Country Albums Chart. Sharing the stage with Casey Donahew will be a band with a lot of Douglas fans, Wyoming’s own Chancey Williams and the Younger Brothers Band, the newly crowned Rocky Mountain CMA Entertainers of the Year. ​It's finally moving day... for the Douglas Police Department. The Police Department's employees, including command staff, office staff and the patrol division have officially moved into the new Converse County Joint Justice Center, located off West Richards at 1201 Mesa Drive. ​The 2018 session of Wyoming Boys State wraps up today on the Wyoming State Fairgrounds in Douglas. American Legion Boys State brings incoming senior boys in from around Wyoming and teaches them about democracy and our system of government. The Wyoming Game and Fish Department has closed the boat ramp at the Dave Johnston Public Access Area along the North Platte River east of Glenrock. Rainfall from severe storms this spring caused significant damage to the boat ramp, and it's no longer usable. The Public Access Area was the last take-out point for people floating the North Platte River before the Dave Johnston Powerplant. Floaters should plan accordingly and take out at Rabbit Hill Public Access Area. The Douglas City Council will hold a rare Tuesday meeting this evening, delayed by yesterday's Memorial Day holiday. Among items on tonight's agenda, the Council will hear a final report on the closure of the Douglas Landfill, consider a request to rezone the historic Camp Douglas Officers Club on Riverbend from MH-2 to B-2, and a request to replat the Bartling Park area south of East Richards and Jefferson. Council will consider a request to name Jamie Sullivan to the Converse County Tourism Promotion Board, will consider a request to lower the speed limit on Jefferson Street near Bartling Park and the Chad Garls Memorial Skate Park from 30 to 20 miles an hour, and will consider a lease with Outdoor Enthusiasts of Converse County to develop eleven acres of land on the south side of Bartling Park as an outdoor archery range. A Campbell County rancher who currently represents part of Converse County in Cheyenne has announced that he's running for re-election this fall. Eric Barlow is now serving his 6th year as representative of Wyoming House District 6, which covers most of the southern half of Campbell County, and roughly the northeastern third of Converse County. In the Douglas area, HD6 is north of East Antelope Road and east of highway 59. Several items on the agenda tonight for the Douglas Planning and Zoning Commission. P&Z will consider a request to rezone property at 115 South Riverbend Drive. The old Camp Douglas Officers' Club is currently zoned MH-2, a mobile home park zoning. 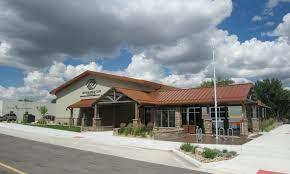 Wyoming State Parks is asking for a change to B-2 General Business. Many years ago, the Oddfellows Lodge changed the zoning to MH-2 to allow for a small mobile home park on part of the property. State Parks wishes to change it to B-2 to allow for better signage and further development of the historic property. P&Z will also consider a request from the City of Douglas to vacate and replat Bartling Park. The replat would officially designate the park as Green Space zoning. P&Z will consider a request for a conditional use permit to keep ducks at 422 North 5th Street, and a conditional use permit to keep chickens at 208 Russell Avenue. ​The Bureau of Land Management will get a new Field Manager in its Casper office this week. Douglas has a new manager. After working their way through resumes and interviews, the Douglas City Council has chosen 47 year old Jonathan Teichert to fill the position of Douglas City Administrator. Teichert is a native of Cokeville, Wyoming, whose resume includes three years as City Administrator for the Town of Afton, and before that, more than 10 years as an administrator and planner for Lincoln County. Teichert has strong experience working with both the oil and wind energy industries, and he holds a graduate degree in public administration from the University of Wyoming. The Douglas City Administrator position has been open since October, since Tony Tolstedt resigned to accept the administrator's job at Riverton. ​More than 300 Douglas area residents gathered Saturday night on the Wyoming State Fairgrounds to Commit To Kids. The 6th Annual Commit To Kids Fundraiser to benefit the Douglas Boys and Girls Club offered guests a prime rib dinner, raffles and live and silent auctions. ​City staff and administration got a chance last night to meet and greet the two finalists for the job of Douglas City Administrator. The Wyoming State Fair Advisory Board will meet in Cheyenne next week. It'll be a busy agenda... the Advisory Board will approve minutes from previous meetings, hear a report on the legislative session, hear a report on the FY 19-20 biennial budget, discuss responsibilities/assignments of current Advisory Board members through the remainder of terms, hear an update on the 2018 Wyoming State Fair schedule, discuss the Rodeo Working Committee, Volunteer Working Committee, and the Judge Committee. Along with this, they will discuss open shows for the 2018 fair, hear updates on non-fair events in 2018, updates on major maintenance requests for facilities, and cover any other business as needed. The Wyoming State Fair Advisory Board meeting is scheduled to start at 1:00 pm on Tuesday, April 10, 2018 in the Wyoming Department of Agriculture main office at 2219 Carey Avenue in Cheyenne. About 2,500 people moved out of Campbell County. Natrona County lost about 1300 residents. ​A Casper woman died in a one-vehicle accident on I-25 near Glenrock Saturday morning. ​During the crash, the passenger, 55-year-old Linda Hurley of Casper, was ejected from the vehicle and suffered fatal injuries. All the fun in half the time. The Wyoming State Fair is condensing the schedule for this summer's 106th fair from the eight day schedule of past years to an action packed and active four day schedule. A Wheatland man died on icy roads south of Douglas Monday morning. The Wyoming Highway Patrol was called out to to Orin Junction at about 1:50am March 19th for a one-vehicle rollover. A 2007 Dodge Ram Pickup was traveling southbound on Interstate 25 when the driver lost control, entered into the median and overturned and came to rest in the northbound passing lane. A 2013 Freightliner semi truck and trailer was traveling northbound and hit the pickup. The driver of the Dodge died from his injuries while being transported by ambulance to Memorial Hospital of Converse County in Douglas. The driver, 31-year-old Jason Havard of Wheatland, was not wearing his seat belt at the time of the crash and was not ejected. Wyoming's US Senator John Barrasso has put pressure on the Department of the Interior to take care of some details in the draft environmental impact statement for the proposed Converse County Oil and Gas Project. A former nurse at a Douglas hospital was sentenced to eight months in prison after authorities say he stole medication intended for patients. Ryan Joseph Harris was sentenced in federal court Wednesday after he pleaded guilty in November to tampering with a consumer product and acquiring a controlled substance by misrepresentation, deception or subterfuge. Authorities say Harris stole the opioid hydromorphone while working at the Memorial Hospital of Converse County in Douglas. Hospital officials say pharmacy staff found that more than 400 patients may not have received the medication as prescribed. Officials say Harris stole the narcotic to feed his addiction. The death of a Douglas man is being investigated as a homicide. In a Wednesday morning press release, the Wyoming Division of Criminal Investigation said 24 year old Dustin Bruegger was found dead Feb. 3 in Douglas after officers and medical personnel were sent to the 200 block of North Second Street for a reported shooting. In the statement, the DCI said there is no continuing threat to the community of Douglas, and the incident appears to be an isolated event. The State DCI opened their investigation at the request of the Douglas Police Department. A 400 MW wind project in Converse County will be built by NextEra Energy Resources, with half of the project owned by PacifiCorp, and half of the project owned and delivered by NextEra under a Power Purchase Agreement. The wind farm will have more than 150 turbines, and will be located north of I-25 and west of the Energy Highway, Highway 59. The Wyoming State Fair is held every summer here in Douglas. The 64th Wyoming State Legislature convenes in Cheyenne on Monday, Feb 12th. If you want to keep track of a bill, or simply want to eavesdrop on the work of the Legislature, there are several links available on the State Legislature's website. There's a link to stream the Governor's State of the State address, 2018 Bill Tracking information, and links to listen to live and archived Floor Debates. ​A proposed tax could affect business in Converse County. Legislation has been proposed to increase Wyoming's tax on wind production and impose a new tax on utility-scale solar facilities. The measure provides that if a company manufactures and installs its wind or solar facilities in Wyoming, the cost of equipment may be subtracted from the tax bill. Converse County's oil business quietly took a jump forward on Friday. The Bureau of Land Management released the draft environmental impact statement for the Converse County oil and gas project. Four years ago, in early 2014, five energy companies submitted a proposal to the BLM to drill about 5,000 oil and natural gas wells on 1.5 million acres over a 10 year period. The project has the potential to produce about 94 million barrels of oil and 5.8 trillion cubic feet of natural gas. Over 8,000 jobs could be created with approximately $18-$28 billion in revenues and economic activity. Since the initial proposal, the price of oil has busted and begun its ascent again... and the project has been on hold pending the BLM's environmental impact statement. The release of the draft environmental impact statement begins a 45-day public comment period that closes on March 12, 2018. The business of processing natural gas in Converse County will continue to grow. Converse County Commissioners last week heard from two companies that will build new gas plants here in the coming year. Evolution Midstream will build the Jewel Gas Processing facility in northern Converse County that will be owned by Rowdy Pipeline. The plant will be just west of the Energy Highway, Highway 59, and just south of the Converse-Campbell County line. Construction is to begin in May, and the plant should be operational in the 4th quarter of 2018. And Meritage Midstream's Thunder Creek Gas Services will build the Steamboat Gas Processing plant about six miles west of Douglas and north of I-25 off Cherokee Trail. Construction is expected to begin in August 2018 and the plant should be in operation in the Spring of 2019. 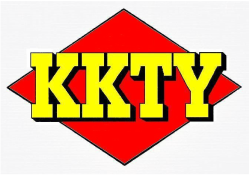 Both gas plants will be $100 million dollar projects, and will have similar production capabilities as the Bucking Horse plant west of town on Cold Springs Road.